As general rule I don’t tend to play movie tie-in games before I see the movie for fear of plot spoilage, but in the case of Gameloft’s new Iron Man 3 game, I decided to break with tradition and give it a shot. Boy do I wish I hadn’t. Not because it spoiled the plot of the film (it may, but I just skimmed through the opening game sequence just in case). I should have skipped it because just about the only good thing I can find to say about the game is that it has really nice graphics and you get to fly around like Iron Man! For starters, the cartoonish representations of Tony Stark and Pepper Potts look nothing like Robert Downey Jr and Gwyneth Paltrow. Perhaps this was done on purpose, maybe they look more like the actual comic book characters…who knows, but with this being the “Iron Man 3 – The Official Game” (it says it right there in the title) I’d have expected a closer resemblance. However that is really just the least of the game’s problems. The major flaws lie with its controls and the incessant need to cough up in-game currency or sit around twiddling your thumbs. 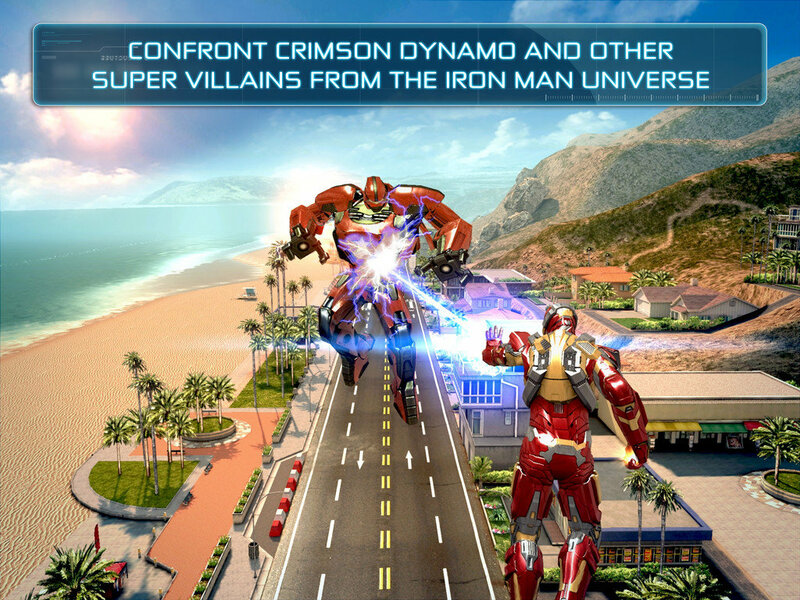 Iron Man 3 may be free-to-play, but that certainly hasn’t stopped Gameloft from hitting you up for donations at every possible turn. Seriously, it gets to the point where you may start to wonder if Tony Stark has lost (or blown) his entire fortune and is now looking for handouts. I’ll dive into the game’s economy in the just a bit, first I want to go over the gameplay and controls. The basic gameplay is an endless runner closer to a lane-based game like Subway Surfers. However there is a key distinction to be made in that in Iron Man 3, there are no hard and fast lanes. As Iron Man is jetting about (sometimes mere inches above the ground) players have complete freedom when it comes to horizontal movement. Players have the ability to move left and right by either swiping/dragging or tapping where they want to move to. Iron Man 3’s free-form left and right movement feels a bit awkward and makes it too easy to accidentally veer into the path of an oncoming jet, truck or some other obstacle. It requires a lot more precision and too often I found myself slamming face first into an attacking A.I.M. villain. Maybe this is a control issue, maybe I just stink at the game, either way, I found it more frustrating than fun. 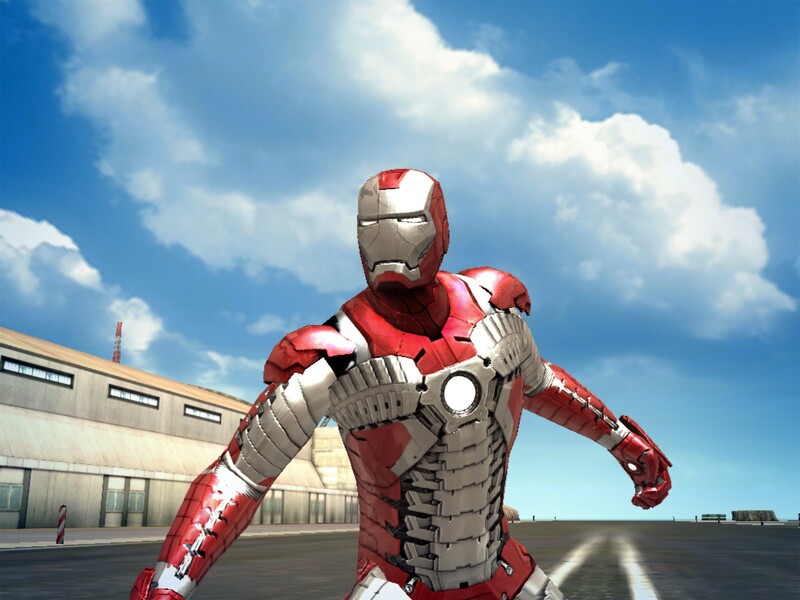 As he moves toward the outside of the screen, Iron Man flies at awkward angle which can sometimes make it difficult to tell if you are in the correct lane or not for picking up or avoiding items. This combined with the game’s airy controls give it the feeling of an odd mix of endless runner and scrolling vertical platformer, but not a really good version of either one. I think this could be partially resolved simply by tightening up the left and right movement controls and/or having a stricter lane-based system. Iron Man can fire at single oncoming enemies by tapping on them or swiping over multiple enemies to target them all at once. Okay I’ll give Gameloft props for that one. And if you level up enough, eventually you can partake in some fun boss battles. As soon as you complete your tutorial run, you will be hit with the first of many attempts by Gameloft to get you to spend in-game currency. You can pay to skip the 20+ seconds it takes to repair the damage incurred to your super suit in the last run. Much like the cars in Real Racing 3, Iron Man’s super suit needs to be repaired in between runs. Though it is far worse than what people complained about with Real Racing 3 (which I never really found to be an issue) because this happens after every single race, not after a number of runs. Players can purchase different Iron Man suits and level them up individually, swapping between them to avoid these wait times, but the incessant request for ‘money’ gets old really quickly! The game contains three currency types, ISO-8 (purchasable via real money), Stark Credits and to a certain degree…XP. 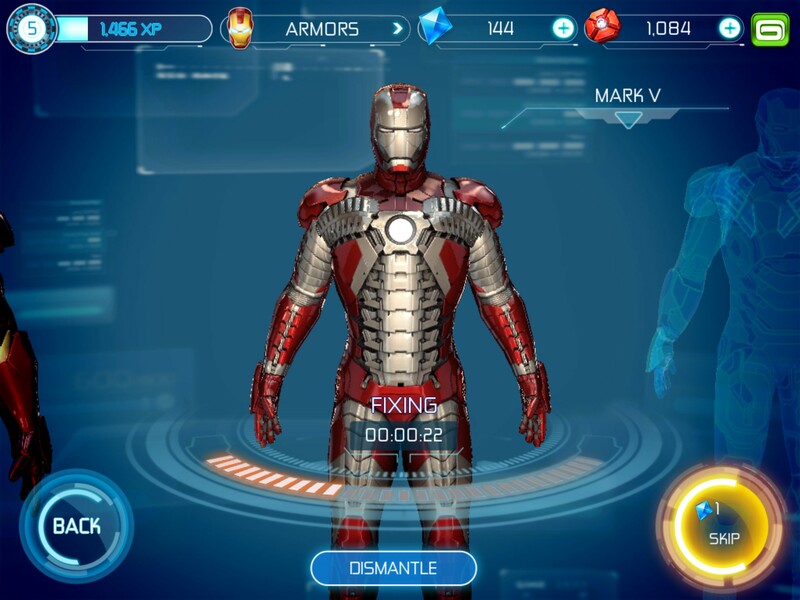 Stark credits can be earned by collecting them in-game and by completing some of the rolling set of mission objectives and these can be used to purchase upgrades for your various Iron Man suits. Additional suits can be unlocked by reaching fairly high XP goals. The ISO-8 is the hardest to come by (for free) and can be used to unlock suits faster, revive yourself after a failed run, get single-use power-ups or skip the (unnecessary) wait times endured during repairs and manufacturing of suits. If my daughters were at all into Iron Man, I’d have huge reservations about even giving this game to them due to the onslaught of requests for in-game currency. If you are a parent who has a child that will be playing this make sure you have restrictions turned on and password protect ALL in-app purchases, because I suspect it is just a matter of time before we hear stories of some poor sap whose kid rang up hundreds of dollars in IAP with this game. 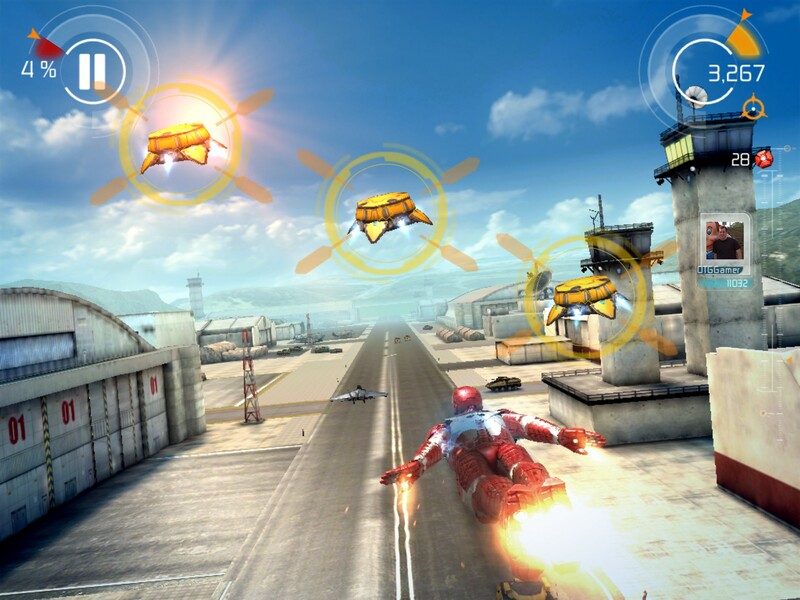 It seems like Gameloft may have initially set out to create a fun Iron Man game, but then greed kicked in and the overbearing money requesting destroyed anything that had the potential to be fun (that and poor controls). While I understand the need for in-game currencies in free-to-play games in order for the developer to make money, Gameloft’s implementation of pay to skip wait times seems frivolous and greedy. That coupled with controls that are too loose and a viewing angle that is often tough to decipher and Iron Man 3 – The Official Game is little more than eye candy. UPDATED: In my initial write-up I said that the game used a free-form lane-based system for movement, this was incorrect, it is entire free with respects to left and right movement. ← ‘Eyes – The Horror Game’ Is An Atmospheric Thriller on Your Mobile Device…Prepare To Be Scared.